Shoes & Tattoos: A Noble Cause. An Unfortunate Design. A Noble Cause. An Unfortunate Design. Did I mention that I love high heels? ‘Cause I’m not certain if I made it very clear in yesterday’s post. While I love love love high heels, I find it necessary to don an occasional flat, and many find it necessary to don a daily flat. On whichever side of the fence you fall, it’s of no fashionable concern to me, as a multitude of chic, comfortable flats exists. Also, I’m from Texas so I understand the need for a respectable flip flop collection. I am partial to Old Navy’s metallic flip flop. Having said that, two instances do exist in which all foot esthetics are needlessly dismissed and my fashion senses are offended on various levels. Two Words: Crocs. 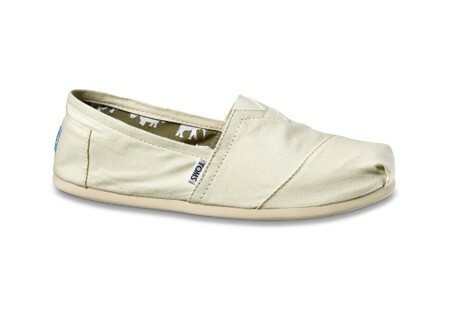 Toms. 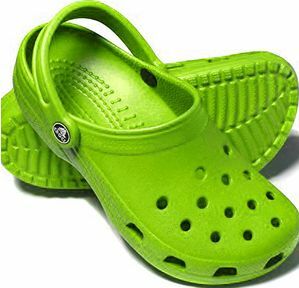 Crocs: Do I really have to explain? I think they speak for themselves as to why they are the bane of every foot’s existence. 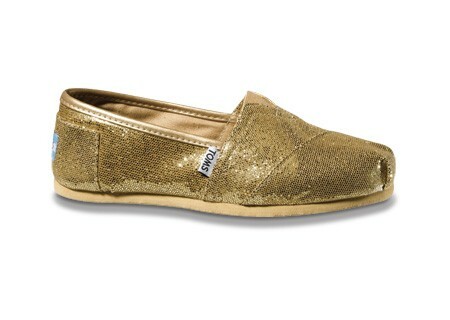 Toms: Now this brand is not as easy to pick on, the main reason being that they’re not named “Crocs”. Secondly, the company’s mission is certainly a noble one. For every pair of Toms sold, the company donates a new pair of shoes to a child in need. Many children in developing countries do not own even one pair of shoes and are vulnerable to injury as well as disease. A child without a pair of shoes may not even be able to attend school, as it may be a required part of a uniform. What a wonderful perpetuation of generosity and aid to others in need, and what a perfect motivation to purchase a certain brand. Here’s my question, though. Why do they have to look like they look? They appear to be flat and awkwardly fashioned espadrilles. It sorta looks like you draped a piece of loose, dull canvas over your toes and then stapled it into a straw, foot-shaped bottom. I can abide the wedges the company has started to produce, but I shan’t be caught in them. Upon visiting the website earlier today, I was struck with wonder and dread, mainly dread, when I saw an advertisement for new Toms wedding shoes. Oh, Lord Baby Jesus. 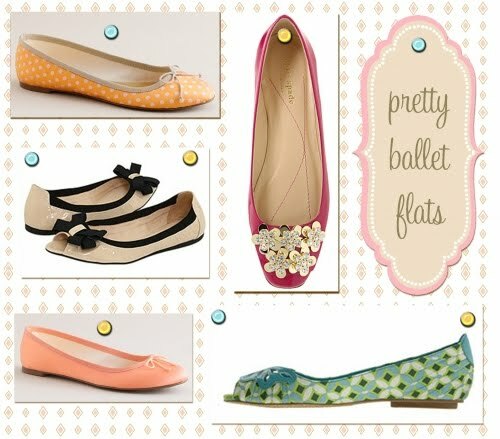 The one day of all days that a girl should not be caught in unflattering flats. Imagine a white Ked. Nay, a Ked that at one point in its primary school existence was white. You probably owned at least one pair in 3rd grade. Now imagine wearing that same pair of whitish, grayish, dirty-ish Keds…to… your…WEDDING! Let’s take a moment of silence to consider the implications of this decision. Apparently, a golden metallic pair is also available for the fancier Toms bride. Still flat. Still awkwardly fashioned. Still unflattering Toms. Just golden metallic so as to draw more attention to your pitiable foot that never asked for such treatment. In conclusion, my advice to you is never to wear ugly flats. If you must, though, please choose Toms over Crocs. You may falter in your footwear choices, but your humanitarian impact will be worth it. Or you could go with something more like this! Blogs need a "like" button. Kat Von D is BCBG? We Here in Aggieland Like Fashion Too!